Like the whole world, Bangladesh has responded well to Xiaomi. No other brand seems to be able to offer so much features at such a low price.That's why this smartphone brand has begun to boom across the globe. As it happened in Bangladesh. Last December 2017 Redmi 5 and Redmi 5 plus two smartphones were released on the market. When they did not cut it, they again released Redmi Note Five pro. Because of these two smartphones, this brand becomes the number one smartphone brand worldwide. Here is a little bit of description about xiaomi redmi note 5 pro. If you look at the camera setting on the back of the phone just like the iPhone X. If you find a lot more features in lower prices as well as a mobile phone like this, it seems pretty good. 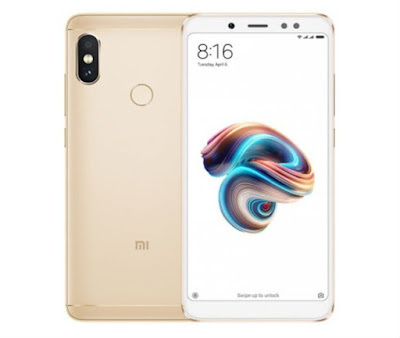 This smartphone can be found in the market in three different colors; black, gold, Lake blue and rose gold.On the front, there are thin bezels and most of the portion is occupied with the 5.99-inch display.It has 5.99 inch full hd display. This phone will have a resolution of 400 ppi pixel density. For the display protection it has Corning Gorilla Glass. In other words, this phone's camera is awesome in front and behind. This phone has a dual rear camera, which looks like it's an iPhone X. It has 12 megapixel and 5 megapixel sensor. The super-duper 20 megapixel camera is in front of this phone. The front camera has low light, which will result in a much better picture in the dark. Another great feature of this is face unlock technology and also Snapdragon 636 chipset. Redmi note five will give you the best quality performance because this phone has Snapdragon 636 processor. The phone comes with two kind of memory as before. You will get one in 4gb ram If this is not enough for you then you can take a 6GB RAM. Internal memory is 64GB but it can be explained upto 128 GB micro SD card. This phone will run by Xiaomi’s custom MIUI 9 that is the latest version of Android nougat operating system. This phone has 4000mh of battery which you can easily backup one day. You will get more in this phone 2.0 quick charging facility.Like other phones it will also get 4g, wifi, bluetooth, 3.5 mm headphone jack and micro usb port.